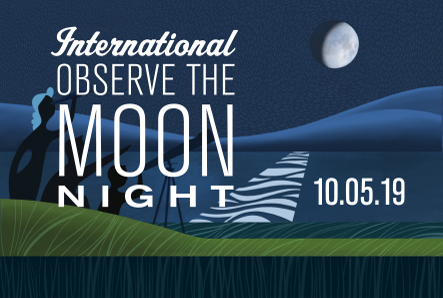 On November 8th, Earth will have a close encounter with a sizable asteroid. But not too close, thankfully. 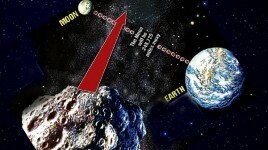 The asteroid, designated 2005 YU55, will pass Earth at a distance of about 325,000 km, just inside the orbit of the moon. Asteroids come that close frequently, but 2005 YU55 is notable for its dimensions: 400 meters in diameter, about the size of an aircraft carrier. The last time an asteroid that big came this close to Earth was 1976, and it looks like it won’t happen again until 2028. So astronomers are taking the rare opportunity to study a hefty asteroid without having to send a craft into deep space. Scientists will use two of the largest radio telescopes on the planet, one in California and one in Puerto Rico, to make radar images of the asteroid. Comets and asteroids preserve the building blocks of the planets. 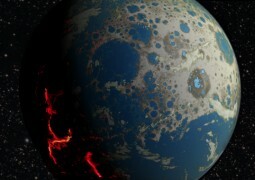 And studying them up close provides clues to how planet Earth came to be. So visitors such as 2005 YU55 are welcome—as long as they keep a respectful distance.